If you have less than perfect credit, you may qualify for a payday bad credit loan. However, you need to understand how they work and determine if the costs outweigh the benefits. These loans are cash advances extended to borrowers to hold them over until payday. To secure the loan, borrowers are required to submit a check with the loan amount plus finance charges or provide their bank account information so the lender can authorize an automatic debit on the due date. People with bad credit may choose to apply for one of these loans when they are in a cash flow crunch and are unlikely to be considered for other, more traditional loans. Are the Loans a Good Idea? Many personal finance experts don't seem to think so. In fact, the Federal Trade Commission (FTC) suggests you find other alternatives. " If you must use one, try to limit the amount. Borrow only as much as you can afford to pay with your next paycheck - and still have enough to make it to next payday," the article adds. Here are some benefits and drawbacks to consider before making a decision. Instant cash. A payday advance can provide you with instant cash so you can quickly get out of a financial bind. No credit screening required. If your credit is tarnished by a series of past missteps, you may still qualify for a loan as long as you have a current bank account and verifiable source of consistent income. Due date extensions. Your credit will not immediately take a hit if you don't repay your loan since most lenders offer an extension in exchange for an additional fee. Exorbitant interest rates. On average, consumers pay between $10 and $30 for every $100 borrowed, according to the Consumer Financial Protection Bureau (CFPB). It may not seem like much, but that's an Annual Percentage Rate (APR) between 260.71 and 782.14 percent for a standard 14-day loan. Plus, additional charges will apply if you can't repay the outstanding balance by the due date. Rollover fees. The longer the loan remains outstanding, the higher the balance grows. In fact, this is how payday bad credit lenders boost their profits. Each time you request an extension, an additional finance charge is added to the current outstanding balance (which includes the original amount borrowed and the corresponding finance charges). Approximately 80 percent of storefront payday loans are rolled over within 30 days, a CFPB study revealed. Overdraft fees. If the lender does attempt to withdraw the amount owed, and the funds aren't available, you may also incur an overdraft fee of $35 or more from your financial institution. According to a CFPB report, over a period of 18 months, one-half of online payday and payday installment borrowers had at least one debit attempt that failed or resulted in an overdraft covered by their bank. No accountability. 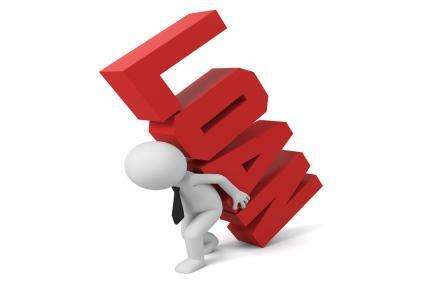 This type of loan should be used as a last resort when you're strapped for cash, and a financial emergency arises. However, constantly relying on them as a source of funding and extending due dates can become very costly over time. A better option is to establish a solid spending plan and start building an emergency fund. Scams. There are scores of payday lenders online, but not all of them are legit. To avoid scams, review the lender's Better Business Bureau (BBB) rating along with customer reviews found online. Extensive damage to your credit score. If you reach the point where you decide to throw in the towel and abandon your payday loan balance, the lender may sell your account to a debt collector. 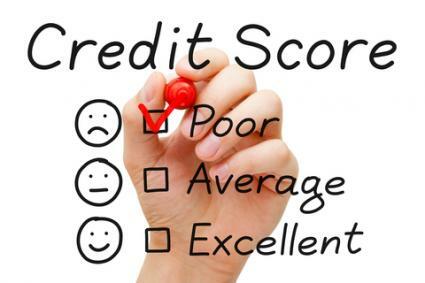 If this happens, it's only a matter of time before the account shows up as a collection item on your credit report. You could also possibly face a lawsuit by the debt collector for the unpaid balance, notes the CFPB. Before you apply with a payday lender, you should first get an understanding of their terms and conditions to ensure you are getting the biggest bang for your buck. In the near future, you should also practice budgeting your earnings more effectively to avoid these loans altogether.